Nice little post from TechCrunch got me hooked on the app Color Text Messages+. 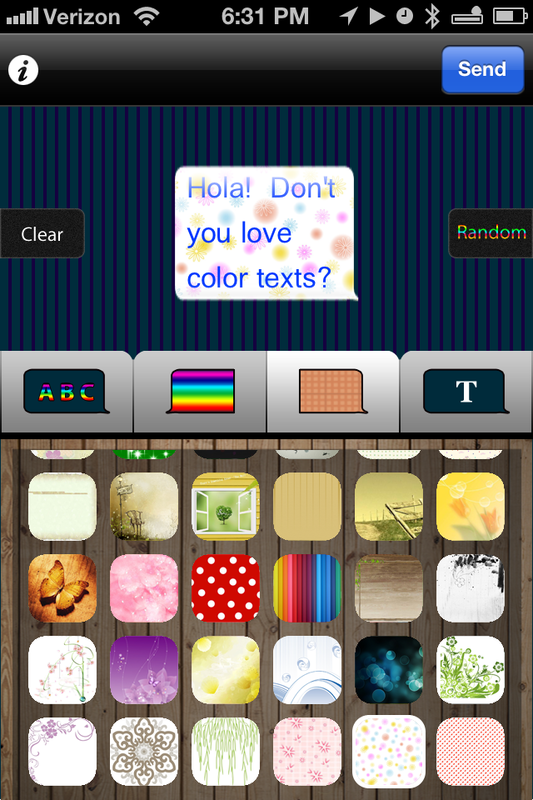 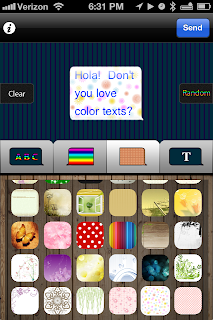 Many similar apps are on the market (for emotis as well) but this runs pretty smooth allowing you to send colored text messages with various fonts and backgrounds. 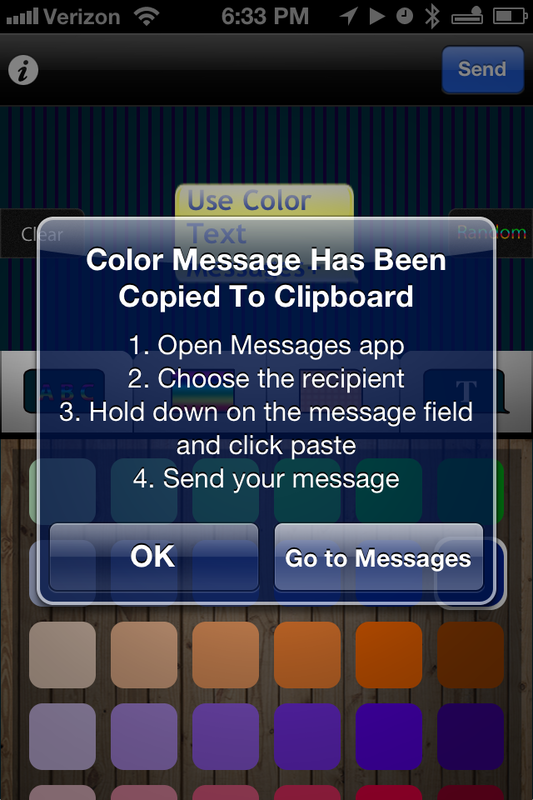 Simply type the message of choice in the app, when you are finished hit the send button in the upper right corner (see below). It is then copied to the clipboard. 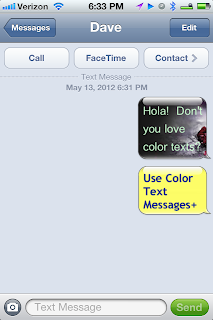 Go to your text conversation and hit paste.